The Square Kilometre Array will provide a boost for science in WA, but there was a point nearly a decade ago where the project could have been lost to the state. Steven Tingay recalls when the future of the Murchison Widefield Array radio telescope, constructed about 300 kilometres inland from Geraldton and a precursor to the massive Square Kilometre Array project, hung in the balance. Professor Tingay now serves as the deputy executive director of the International Centre for Radio Astronomy Research (ICRAR), leads the centre’s Curtin University node, and was the director of the Murchison Widefield Array project from 2008 until 2016. The Murchison project, which started operation in 2013, was a $50 million investment that proved to be vital in helping Australia jointly win a bid to host what will be the world’s largest radio telescope, the SKA. “If the MWA failed we would not have had the SKA in Australia,” Professor Tingay told Business News. “It’s still the only precursor (telescope) which is fully operational. Professor Tingay said he took on the role of director at a crucial time for the project. “Mid 2008 there was a critical juncture where the US funding partners had lost confidence in the project and the Australian funding partners were following,” he said. “I took the project over and at that time I gave it personally a 5 per cent chance of coming to any sort of fruition. “(Stepping in) was difficult, but I thought it was a project worth saving. “Between 2009 and 2011 was really a massive scramble to finance the project, pull together the management and the planning, give the partners confidence and get all the technical momentum behind it. But the result was very significant for science in Western Australia, and the project was later doubled in size for a cost of about $3 million, comparatively inexpensive because all the overhead infrastructure was set up in the first phase. “All of the statistics point towards this telescope being the best bang for buck telescope of the past decade internationally,” Professor Tingay said. On the back of this success, and the CSIRO’s development of the Pathfinder radio telescope observatory nearby, the global SKA consortium picked WA’s Murchison region and South Africa as the two key hubs for a much bigger project. There are still more steps to go for the development, which has a combined value across the two hubs and UK headquarters of $1.3 billion. Last month, the 12 member countries signed a treaty to create an international organisation to determine financial arrangements for construction of the SKA. Those include Canada, China, India, Spain and New Zealand, with a further 20 nations involved in detailed design work. By the end of 2021 or early 2022, funding and a construction proposal should be finalised. Completion will mean the realisation of an idea formed in 1991. “In the mega-science, massive project world, it’s always later than you would’ve liked,” Professor Tingay said. 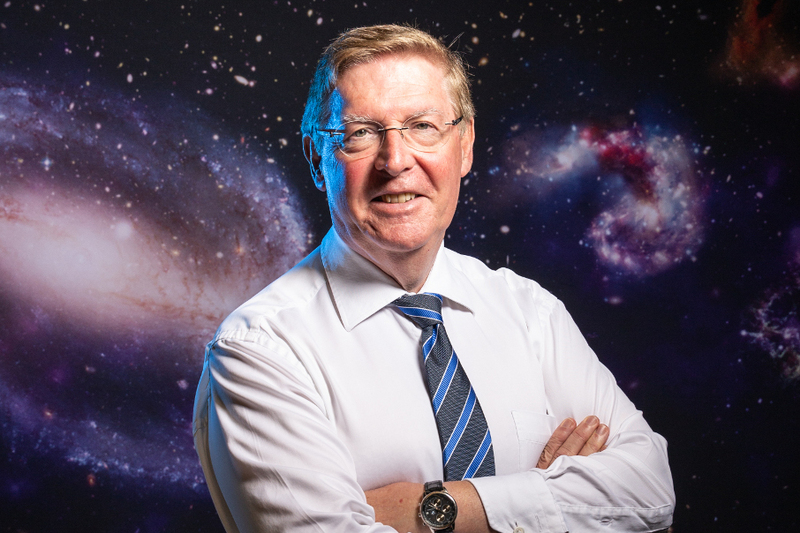 ICRAR executive director Peter Quinn, who lectures at The University of Western Australia, said the SKA would bring a massive improvement in the world’s ability to understand space and the beginnings of the universe. “Because it is a real major advance in our capabilities, it’s going to lead to Nobel Prize-class science,” Professor Quinn said. He said most iterations of radio astronomy delivered improvements that were about five-fold. “It’s kind of like what happened when we went from earth orbit to the moon,” Professor Quinn said. Because light takes time to travel long distances, radio telescopes that see further are able to effectively peer back to observe earlier periods in the history of the universe. In the case of the SKA, the hope is it will access the epoch before first light, when the first stars were formed, perhaps as long as 13 billion years ago. “It’s like seeing page one of the cosmic story, the first chapter of the book, and if we get to see that chapter we can put the rest of the book together and try to figure out how this whole avalanche of structure we see actually happened,” Professor Quinn said. 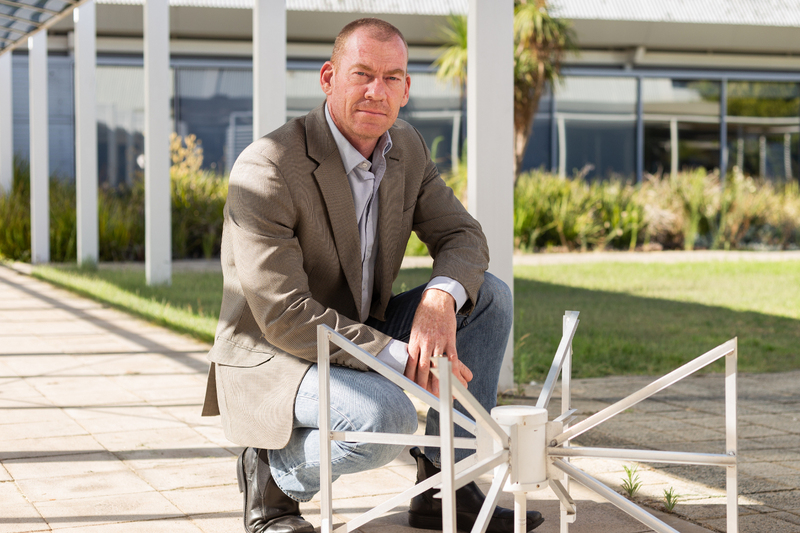 For Professor Quinn, who was lured back from Europe to join the project in 2006 as part of the Premier’s Science Fellowship Program, the attraction was the opportunity the SKA offered Australian astronomy. “Astronomy projects almost always happened outside Australia,” Professor Quinn said. “The sort of astronomy projects that I was involved with (needed) access to high mountains, that sort of thing, Australia just doesn’t have any of that. “When I saw the opportunity for a very large astronomy project to be based in Australia, using the unique Australian landscape as a strength, that was extremely attractive to me. “The SKA, being the world’s most sensitive radio telescope, needed a radio quiet place to live; that’s becoming very hard to find in the world. The pitch for the SKA involved a huge collaboration with Curtin University, UWA, CSIRO, the then Department of Commerce, Mid West Development Commission, local Wajarri Yamaji people, and politicians including former premiers Alan Carpenter and Colin Barnett all supporting in different ways. Department of Commerce executive Julie de Jong and senior Commonwealth public servants Patricia Kelly, Jane Urquhart and David Luchetti were among those who played major roles. Ms de Jong and her team acted as the lead state agency. She has since moved to head up the Department of Mines, Industry Regulation and Safety, but considers the SKA work one of the most important projects she’s worked on. “I was very fortunate that I got to meet world-class radio astronomers, and we have world-class astronomers here too,” Ms de Jong told Business News. “It was a privilege as a public servant to be part of something that is world renowned, and it’s here in WA. “For Perth, we got two international research centres, we got the Pawsey Centre (supercomputers) and amazing different types of radio astronomy technical equipment. Many of the skills and much of the technology required would benefit other industries, such as mining, she said. The amount of information created by the SKA will be of galactic proportions, with the first phase estimated to produce about three terabytes of data per second. “The only reason it’s so fantastic at doing all the things it does is because it collects an enormous amount of data,” Professor Quinn said. Businesses like Google and Amazon and people in sciences such as geology and biology would all be interested in advancements in data science, and many young people were being trained and creating new solutions through involvement in the SKA and MWA, he said. “We’ve seen this happen before with the Large Hadron Collider (a particle accelerator),” Professor Quinn said. “The people who were building that needed some technologies for data, and the thing they invented was a thing called the web. It was important to translate the knowledge into industry, he said, adding that ICRAR often spoke to businesses about applying challenges and innovations from astronomy into their problems. One ongoing application of the MWA will be in tracking space junk. This could contribute to a global effort to reduce the approximately 750,000 pieces of debris orbiting Earth, which pose a threat to satellites or rocket launches. Those pieces can collide with existing space assets, or each other, creating further obstacles. The issue is so significant that, in the worst case, a cascade of collisions would potentially prevent activities in some orbital ranges for generations. The federal government’s Defence Innovation Hub is working with Adelaide-based Silentium Defence on solutions, including sub-contracting ICRAR to help develop ground-based radar and space surveillance technology to monitor debris. Other MWA projects look much further afield, including a detailed panoramic of the universe from the Southern Hemisphere, which required about 35,000 images. The Pawsey Centre supercomputer in Bentley was used for that work and will play a big role in storing and processing data from both the SKA and MWA. Although Pawsey is deeply connected to astronomical research, it has had other uses. A University of Melbourne academic last year used the facility for a quantum computing simulation that will contribute to encryption science, a Curtin University academic worked on calculations for particle physics, and a group of institutions including the University of Ontario worked on analysis of data from neonatal wards. Perth has had an ongoing role in gravitational wave research through the Pawsey Centre, with a team from UWA helping optimise gravitational detection equipment in the US and Europe. That continues a long connection to the field. Perth scientists played a role in the 2015 discovery of gravitational waves at the Laser Interferometer Gravitational-Wave Observatory (LIGO), which is based across two locations in Washington state and Louisiana in the US. The waves in the first detection were generated by two black holes merging, with the waves so incredibly tiny that the impact on the laser detectors was about 10,000 times smaller than the size of a proton. But the importance of the detection was massive because it proved one of Einstein’s key theories. Gravitational waves were a life project for UWA professor David Blair, who spent four decades working on methods for detection and pioneering work in precision measurement science. That included development of microwave cavity electromechanics and work on the use of sapphires in precision measurement. His third major work was in 2005, when he predicted the LIGO detectors would be unstable, and his team set about finding ways to stop the instability. Nearly 10 years later, the predictions were proved right and UWA has since played a crucial role in stabilising the detectors. Another UWA academic, Carl Blair, David’s son, worked at LIGO on the operation of the detectors.